Prabhudeva and Tamannaah are all set to thrill the audience with their performance in their upcoming film Abhinetri 2. 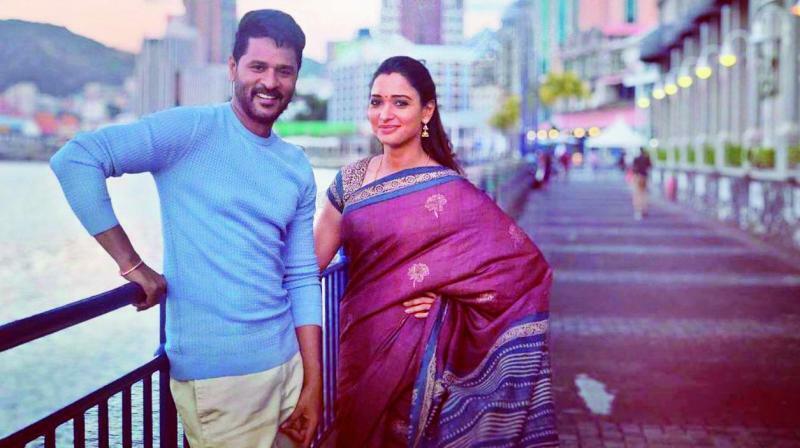 Prabhudeva and Tamannaah Bhatia are all set to thrill the audience with their performance in their forthcoming film, Abhinetri 2, which is the sequel to the film Devi. The horror comedy has garnered a fair amount of curiosity since the day of its announcement. As expected, its first-look poster, which released on Thursday, has received a positive response. Directed by A.L. Vijay, the film which also stars Nandita Swetha is slated for release on May 1.